At Last! The Power Strip You’ve Been Looking For! Are you tired of having to unplug your office lamp in order to charge your phone? Do you want to keep all your appliances on and your devices charging at the same time without damaging them? Are you looking for a way to charge your phone and tablet faster than ever? Then the ON Smart Solution power strip is everything you’ve been looking for! Who said that you can’t charge all your devices at once while having all your appliances on? 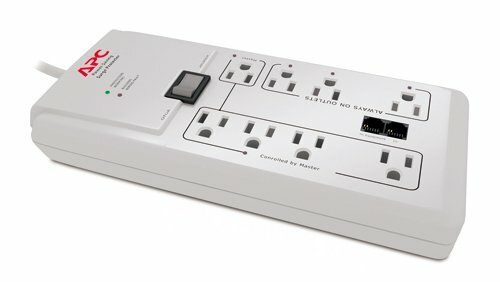 This unique power strip has 8 outlets and 2 USB ports so you can keep your appliances plugged in and your devices charging at the same time with no worries! The power strip has a convenient on/off switch so you can easily manage it and a 6ft extension cord so you can keep your appliances on even when you’re far from the outlet. The power strip is very powerful so it can always give you maximum performance, and help you charge your devices faster than ever! And no need to worry about any accidents or overloads! The power strip was designed for maximum safety as it has a double insulation design that will prevent overvoltage, 2100J surge protection, short-circuit, over-current and over-heating protection so you can rest assured that you’re covered and safe no matter what! The elegant design of the power strip makes it just perfect for every space so it will not ruin your decoration. It also has a discreet light indicator so you can use it to charge your devices at night while you’re sleeping. So Get Yours Now Before We Run Out Of Stock! 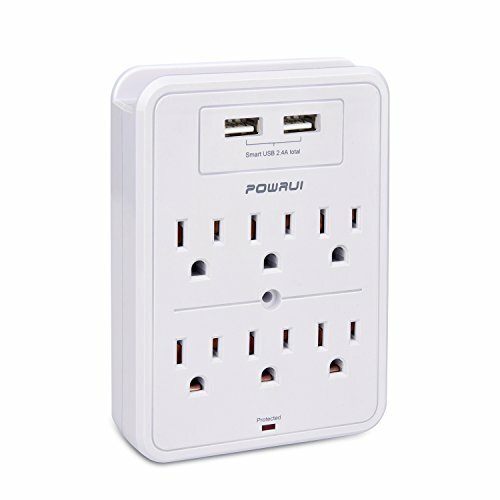 FOR ALL YOUR DEVICES AND APPLIANCES: Forget about having to look for an outlet or having to wait till your phone is charged in order to charge your tablet! 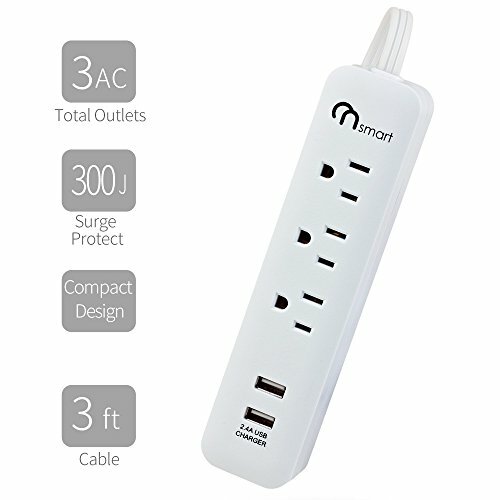 This unique power strip is the solution you’ve been looking for as it has 8 powerful outlets and 2 USB ports that allow you to charge all your devices and keep all your lamps and appliances on at the same time with no worries! 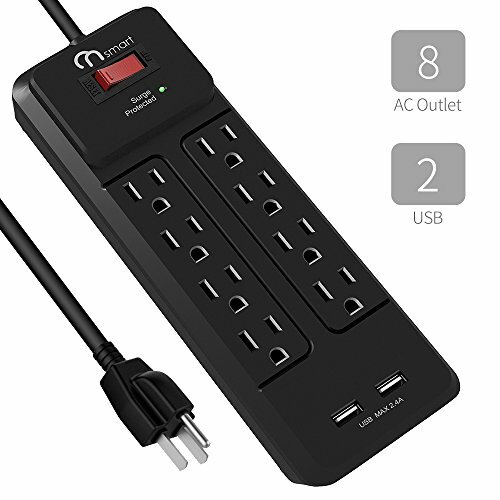 MAXIMUM POWER, FAST CHARGING: The ON Smart Solution multi-outlet power strip has a 2.4A max USB power output so you can rest assured that you will always have maximum performance and fast charging. The USB ports are compatible with most Android and iOS phones and tablets, as well as with Bluetooth speakers, USB fans and lamps, and more! Dual safety system- 2100J surge protection that can provide basic protection from power surge attack that might be caused by unstable power supply, lighting and storm, power generator, or old machine from your house power network. 15 Amp reset-able circuit breaker can prevent overheat and other safety issued that will caused by drawing too much current at the same time. It will also shut down the power to this power strip before the house main circuit breaker trip off. 1 year satisfaction warranty – This reliable surge protector are built to last. The design and the production are under very high level of safety standard. We have 100% confident of this product. If you got problem? Contact us and we will replace the unit.